The solar explosion may be diminishing in some countries, but definitely not in Southeast Asia. When forecasters noticed slower solar PV installations worldwide in 2017, when developed markets neared saturation, it put investors under loads of stress to determine whether Southeast Asia would be the next fountain of solar growth. Analysts can speculate the potential of this region of approximately 600 million people, especially as governments and developers have started to understand the strict regulations, outdated technology and poor infrastructure that has been diminishing the investment in the Southeast Asian solar projects. But the sheer amount of work to be done puts the region a long way off from reaching a solar renaissance. “As renewables markets mature, renewables investors are looking to new markets for their next source of growth. 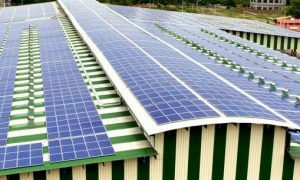 Solar PV generation has great potential and has been the most attractive renewable energy source amongst the Southeast Asian nations,” said Eric Ho, director at Renewable Energie Singapore. “Growth prospects are tremendous in Southeast Asia with a combination of fast-growing economies with resulting investment in manufacturing, transportation and energy infrastructure, rapid growth in electricity demand and good solar resource,” he further stated, noting that annual solar radiation levels in the region ranges from 1,460 to 1,900 kWh/m2 per year. Feed-in tariff (FiT) schemes have been helpful to the solar PV growth in Southeast Asia. In Thailand, which is by far the largest producer of solar energy in the region as there is strong government support, solar capacity has increased in the past three years, from 1,299MW in 2014, and 2,021MW in 2015, to over 2,800MW in 2016, which is higher than those of all other Southeast Asian countries combined. Thailand is not looking to slow down its solar PV expansion anytime soon. They have a target to have installed 6,000MW by 2036. The country is also becoming a regional role model for Southeast Asian nations that are starting to scale up their programs. Solar in Southeast Asia, Thailand in particular, is thriving. In order for you to jump on the band wagon, get in contact with us and we’ll help you to get set up. Click here to read more about ‘Southeast Asia’s solar industry thrives amidst dimming market expectations’.